You are here: Home / Bigger & Better in Brooklyn. New branch location! Find the best value for every home and budget with Mitsubishi Electric Package Deals. In recognition of our history and our valued customers, ABCO proudly presents Celebrating 70. Pricing For Profit Workshops for HVAC and Refrigeration contractors. Thank you for helping us dream bigger. Bigger & Better in Brooklyn. New branch location! 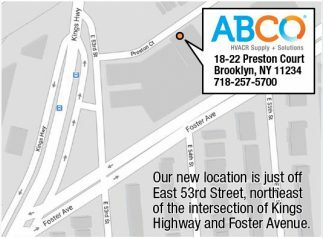 We couldn’t be more excited to announce that we’ll be moving to a Bigger & Better ABCO branch in Brooklyn. Measuring 9,000 square feet, an increase of 50%, it will have expanded storage for greater inventory – with a brand new counter, showroom and facilities. To help ensure there’s no disruption in service while the new location is being renovated, ABCO will dedicate additional staff to take orders for delivery. 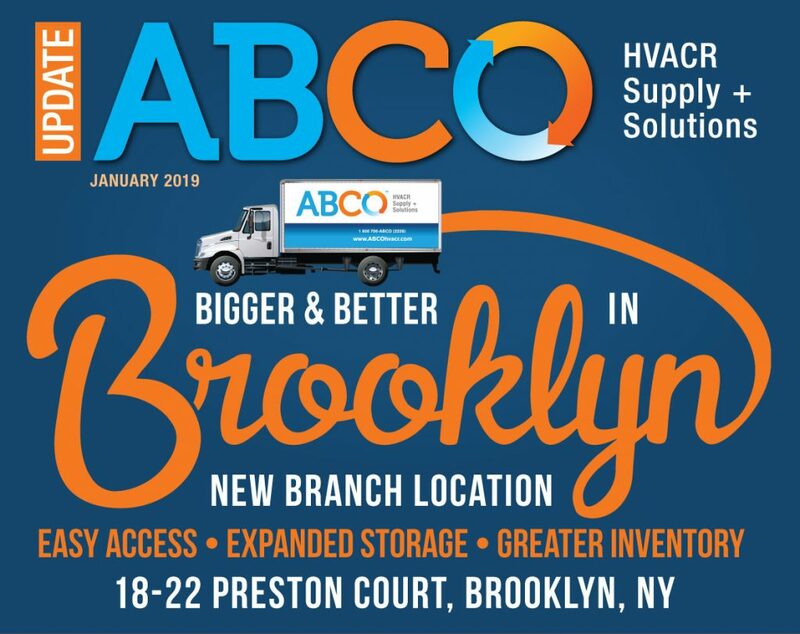 You can also request your orders to be made available for pick-up at Long Island City, Staten Island, or any other ABCO branch. Orders are also available for pick-up at the ABCO Distribution Center at 66-26 Metropolitan Ave, Middle Village, NY. We’ll be working hard to get the location ready for picking up orders by February 4, 2019 even before it’s completely remodeled. More details will follow as soon as they develop.